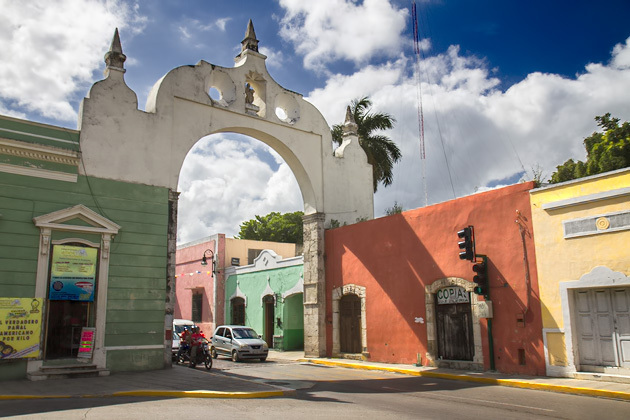 The Yucatán Peninsula encompasses the Mexican states of Yucatán, Quintana Roo and Campeche, as well as parts of Belize and Guatemala. 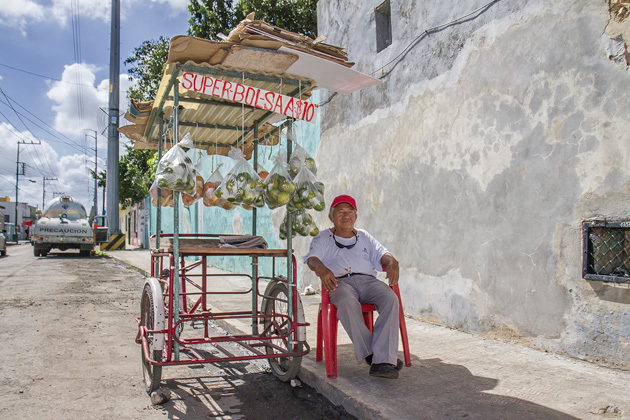 For our 91 days, we concentrated on the state of Yucatán, with a few excursions to sights in Quintana Roo and Campeche. Though it hurts, Belize and Guatemala will have to wait for future iterations of For 91 Days; navigating just the Mexican portion of the peninsula proved more than enough for three short months. It often seemed as though we’d need 91 days just to escape our chairs. The humid Mexican climate immediately cast its spell of lethargy on us, and our first couple days in the Yucatán were deliciously lazy. Why hurry up and get dressed, when it’s so pleasant in the air-conditioning? Really, what’s wrong with another drink at the bar? Do you really want to go back into the sun, and get all sweaty again? Come on, Jürgen, the margaritas here are cheap. But although we grumbled and took our time doing so, we eventually rose from our chairs. There are simply too many compelling reasons to get out there and see the Yucatán: visiting Maya ruins at Chichen Itza, Uxmal, Ek-Balam; (just reciting the names is enough to make my heart pound!) Experiencing the vibrant modern culture, with cheerful música yucateca blasting out of every storefront; hiking through the jungle, swimming in some of the hundreds of cenotes found on the peninsula, learning how to prepare poc-chuc, and teaching ourselves some basic Maya. We even managed to complete a scuba certification course, in order to take full advantage of the stunning Caribbean beaches. “No time to be lazy, so let’s get started!” Yes, I’m fully aware that I said the exact same thing three margaritas ago, but this time I mean it. We are going to start exploring the Yucatán right this very moment after I get done with a little nap and possibly a dip in the pool. Bienvenidos... ¡al Yucatán! The Yucatán Peninsula, land of the Maya, was our home for 91 days. 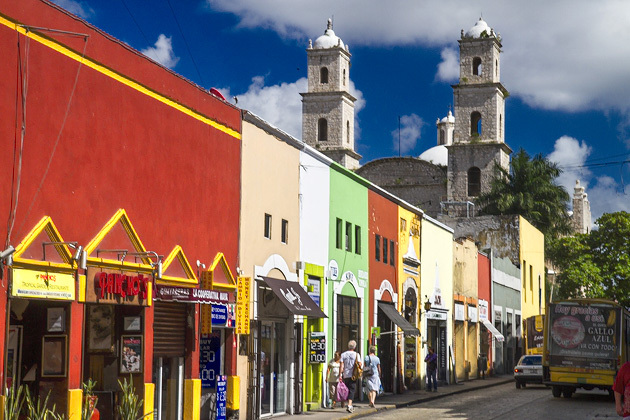 We were based in Mérida, the peninsula's largest city, but explored practically everything this amazing region in southern México has to offer: the history, food, jungles, colonial haciendas, ancient ruins, traditional art, music and dance, underground lakes, flamingos y mucho más.